Innovative Kitchens Designed for the Way You Live. WE LISTEN TO YOU... WITH YOUR INPUT AND YOUR LIFESTYLE IN MIND, THE J&M; WARRELL DESIGNERS WILL CREATE BEAUTIFUL CUSTOM CABINETRY SOLUTIONS TO MEET YOUR NEEDS AND TURN YOUR VISION INTO REALITY. WE INCORPORATE THE FINEST QUALITY MATERIALS IN OUR DESIGNS TO CREATE A ONE OF A KIND PROJECT THAT YOU WILL LOVE TO COME HOME TO. WE PROVIDE EXPERT INSTALLATION SERVICES WITH EXPERIENCED, PROFESSIONAL CRAFTSMEN WHO CLEAN UP DAILY AND ARE A PLEASURE TO HAVE WORKING IN YOUR HOME. WE PROVIDE UNPARALLELED CUSTOMER SERVICE WITH MOST PROJECTS COMPLETED IN LESS THAN THREE WEEKS. We incorporate the finest quality materials in our designs to create a one of a kind project that you will love to come home to. We provide expert installation services with experienced, professional craftsmen who clean up daily and are a pleasure to have working in your home. The J&M Warrell team is dedicated to providing quality products, meticulous attention to detail and exceptional customer service to our clients in the Bucks County area. With your input and lifestyle in mind, our designers will create beautiful innovative kitchen designs to meet your needs, and our kitchen remodeling team will use those designs to turn your vision into reality. Attention to detail and keen project management, coupled with over 18 years of experience ensures that your project will receive the attention it deserves from the moment you contact us until the final knob is installed! We provide expert kitchen remodeling services with fully insured experienced professional craftsman who respect your home. 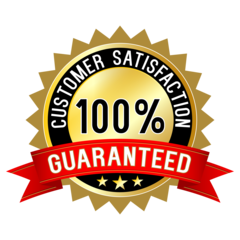 We are committed to providing unparalleled customer service from the moment we meet, to the final cleaning and polishing of your new project. Complete Kitchen Remodeling Our kitchen remodeling services available for your home includes everything to make your kitchen remodeling dreams come true. From plumbing and electrical work, to cabinet and appliance installations, we cover it all. To top it off, we offer beautiful countertop options. We have over 200 different colors of granite, marble, quartz and other solid surface countertops. In addition, we coordinate your flooring, appliance selections and backsplash needs if desired. No project is too big for our dedicated staff. We also install bathroom vanity cabinets, home office cabinetry, entertainment centers, bars, laundry rooms, closets and any other cabinetry need you can think of. We invite you to view our services page to learn more.